Location! Location! 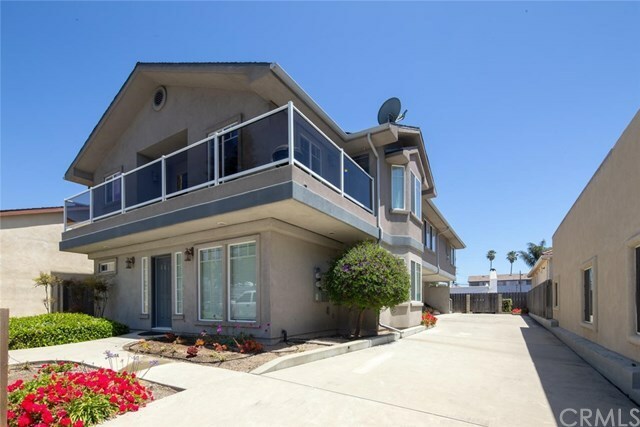 Wonderful opportunity to own a second home, primary residence or rental just a block and a half from the beach and short walk to downtown Pismo. Turnkey, fully furnished 2 bedroom 2 bath 1160 sq ft. condominium. Open floor plan with Kitchen open to dining and living areas. Small deck off the dining area. Master bedroom offers en suite bath and a walk-in closet. Includes two singe car garages with laundry offered in one. Don't miss this opportunity to enjoy beautiful coast living.